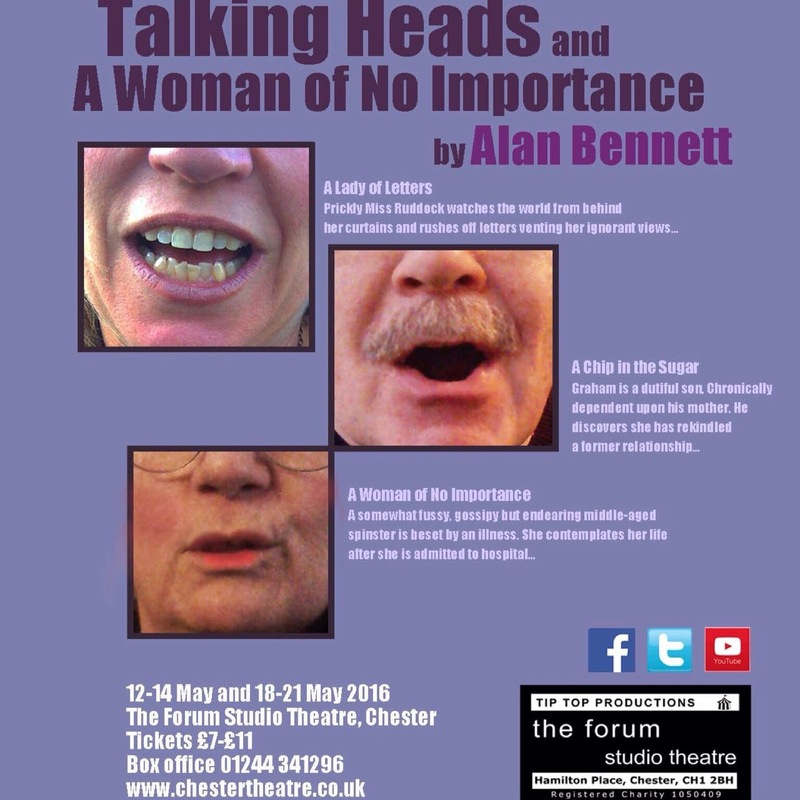 We Are Chester’s Paul Clark reviews the latest offering from Tip Top Productions: Alan Bennett’s classic monologues Talking Heads. The show was staged at the Forum Theatre in Chester. Photos courtesy of Tip Top Productions. 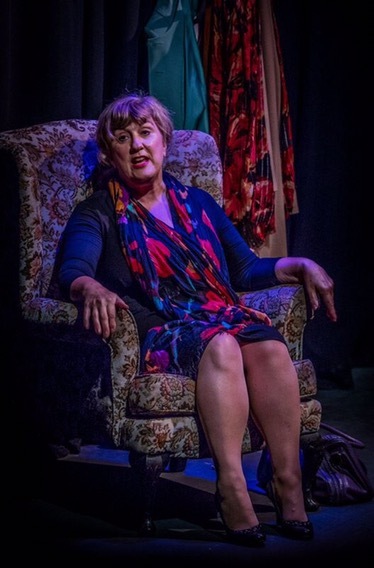 Following on from their excellent adaption of Abigail’s Party, Tip Top Productions have taken on the unenviable challenge of performing another great piece of British writing, this time from the pen of Alan Bennett. The Talking Heads monologues that were broadcast in the 1980s showcased a writer at the time, on top of his game. Age has not diminished the effect of these pieces. They are still poignant, hilarious, sad, occasionally uplifting and showcase Alan Bennett’s powers of observation, comic timing and exquisite turn of phrase. The director and actors have certainly not taken the easy option by reviving this revered production. The first monologue is A Woman of No Importance. This was televised earlier than the Talking Heads series, but it’s now inextricably linked to the series, given the form and the style of the writing. Janice Fryett is excellent in the role of Peggy Schofield, the gossipy office worker obsessed by the minutiae of workplace life. Her reduced circumstances in the hospital are matched by her failing health. Despite this she remains upbeat throughout. It is a wonderfully performed piece of work. It’s the longest of three performances and is also the most achingly poignant. The staging of this is perfectly set and the ending leaves you drained. After the interval, and a chance for the audience to compose themselves after the emotional rollercoaster of the first performance, comes the two shorter pieces from Talking Heads. They are not as achingly sad as the first one, but they are still as compelling. 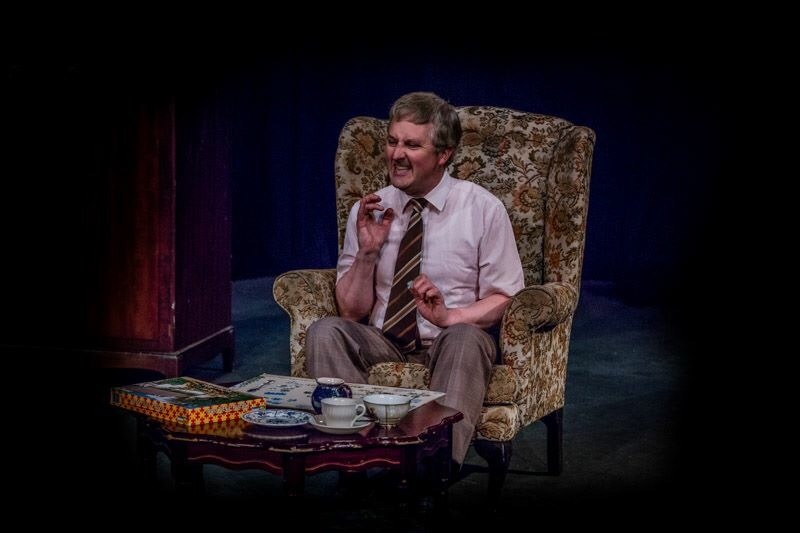 ‘A Chip in the Sugar’ sees Mike Deakin play Graham Whittaker the dutiful, if somewhat downtrodden son, whose life is upended when a man from his mother’s past turns up and turns his (and mother’s life) upside down. ‘I didn’t know you had a past. I thought I was your past,’ Graham says as they begin the tumultuous episode in their normally unruffled lives. This is a perfectly realised performance and Mike Deakin gets under the skin of the writing really well. 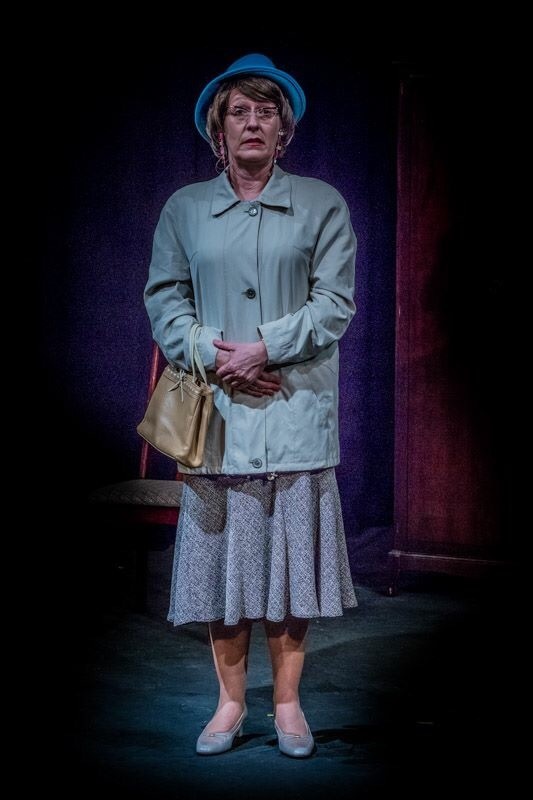 The final monologue is ‘A Lady of Letters’ Sally Dillon is superb as Irene Ruddock’s one-woman Neighbourhood Watch scheme, that somehow gets out of hand. It’s not the observations of her neighbours that gets into trouble, it’s the barrage of letters that she sends to the authorities that get ridiculously out of hand. The monologue concludes with a wonderfully farcical ending. A note too for the direction from Andy Jordan, as the staging is perfect throughout and almost performs the role of a foil for the solo performers to act alongside. 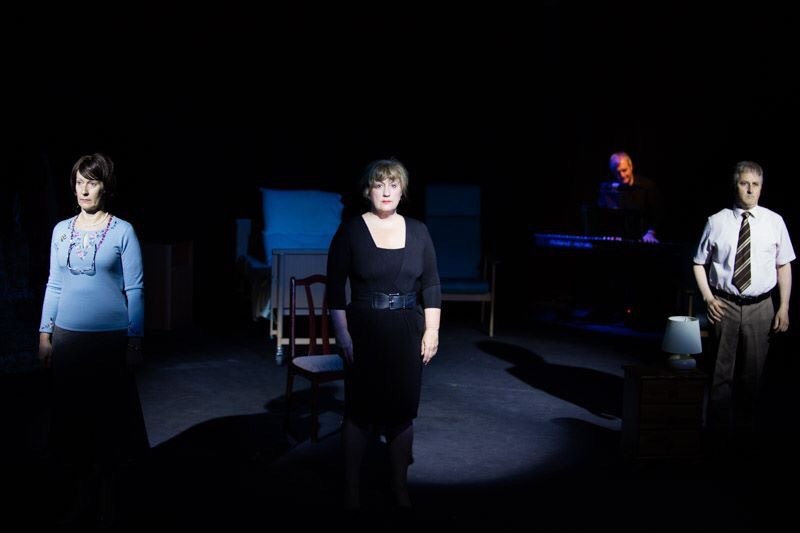 The subtle lighting and the movement around the stage adds emphasis to the poignancy of the words. Anyone who saw Alan Bennett’s impressive series of monologues Talking Heads on TV when they first aired will have the performances of the leads etched in their memories. The biggest compliment that I can pay to the cast from Tip Top Productions version is that you forget those landmark performances and enjoy the three performances. Well done to all concerned for rising to the challenge.